So you decided to run your first ultra? But wait. What did you actually sign up for? Any distance over a marathon is “technically” considered an ultra marathon. So I guess you could say 44K is an ultra. But for all intents and purposes, 50K is often considered the “shortest” ultra distance. That’s what you signed up for. A race where 50K and shortest are combined into one sentence. In other words, you signed up for a long day of exercise. Which is where this ultra marathon guide comes in. No matter how many ultras you have run or will run, you are always learning. Conditions are always changing. Goals constantly evolving. In fact when it comes to ultras the only thing that is truly constant is change. And no distance parallels life more than an ultra. You’ll experience highs and lows just like in life. You’ll need to use your experience, determination and training to climb through the valleys and calm emotions during the peaks. And through it all you’ll learn a lot about yourself. As a person, an athlete and how truly capable you are. In this article, we’re going to guide you through the 8 most important concepts you need to embrace in order to master the ultra marathon event. 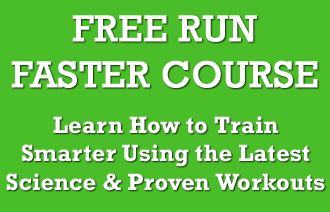 Training for your first race? Then you may also want to read this article on the 9 Things To You Need To Do. Pace is irrelevant for two reasons. First, no two courses are the same. From elevation to terrain to weather, they simply are not comparable. A hilly 50 miler at sea level versus the Leadville 50 at 12,000 feet are two totally different races. When it comes to time goals, that is where pace is truly irrelevant. If it’s your first race, forget about time from a pace perspective. In an ultra time is an ally and enemy. An enemy in the sense that it often lures you early on into a pace that is simply unsustainable for the duration. Rather, think of time as the coach telling you when to eat, to drink, to walk and more. But as far as time goals be careful. Looking up results from last year’s race and saying “hey I can win my age group or come in the top 10%” is dangerous. Run your race, stick with your plan, adapt to the challenges of the race and let time simply happen. When it comes to pace the ultimate guide is your body. So much so that after the race your mind is tired of simply analyzing your body throughout. Monitor your breathing, heart rate, how your stomach feels, etc. You have to remain hyper vigilante on what your body is telling you. Trust me, I’ve learned the hard way. Had some great races through 60K only to fall shortly thereafter. It’s not fun. The thing with pace is there is little margin for error. The bottom line is if you run a slow enough pace you can run forever. Seriously. A painfully slow pace is one where the body can truly show you how amazing it is. And what it can endure. Fail to eat and you will struggle towards the finish. If you finish at all. Nutrition cannot be emphasized enough. And it is not a race day decision. Your race nutrition should be known in detail on race day. When you will eat, what you will eat, how much you will eat and more. What: What you eat at mile 5 will be different at mile 40. Almost anything tastes good at mile 5. But at mile 40 when your stomach is upset? That’s a tough one. For me I need foods that require almost no chewing. Like Ensure with 350 plus calories. Experiment a lot in training. Especially at the end of longer runs. Even though you don’t need to eat to get through a 20 miler, try foods at 20 and see what works and what does not. Frequency: You need a plan of when you will eat and stick to it. Which is where the watch comes in (remember not for pace). My best Ironman I was an eating machine. Every 20 minutes I was eating or drinking something. Other races where I failed to execute a proper nutrition plan and my race suffered. Calories: Measure out your food and pre-pack it. 100-150 calorie “meals” at each feeding are good. But pre-pack them so you know exactly what to eat. And find foods that are high in calories. Especially towards the end of your race when eating is tough. Hydration becomes a science in ultras. And once again, what worked in one race may not in another. A fall ultra in Vermont versus a summer race in Arizona requires completely different hydration plans. And by hydration I don’t mean just consuming water. I mean maintaining an electrolyte balance. Failure to do so, can have dangerous consequences. And needs to be understood immediately. You would think it’s safe to drink a lot of water during exercise or your race. And you would be correct to an extent. It becomes a problem when your water consumption is such that it over dilutes sodium in your bloodstream. Resulting in symptoms that include becoming disoriented, headaches, muscle weakness, nausea and vomiting to name just a few. For more, please read The Truth About Dehydration And Performance. But hold on there. The solution is not as simple as switching from water to just any off the shelf electrolyte type drink. The science still remains. The science of maintaining an electrolyte balance that is. And not over consuming. How you ask? Here are three reasons. Hypernatremia: Too much sodium, leading to dizziness, vomiting and more. Hyperkalemia: Too much potassium, leading to an irregular heartbeat or vomiting. Hypercalcemia: Too much calcium, leading to fatigue and joint pain. Recently, we conducted a quick interview With Craig Philkill, Co-Founder of EnduroPacks. So you’re a runner. You know how to run. Well guess what. You’ll need to learn how to run all over again. Yes, ultra running is slow running. And slow running requires a different gait. In many ways you could call it a shuffle. If a marathon is 50,000 steps then an ultra is possibly 100,000. That’s a lot of steps. You simply cannot bound down the trail for 50 miles, the same way you bound down the road for 5K. You’ll be on your heals with every touch of the ground. Forget about running on your toes. You can’t bound downhill, hammering your quads with each stride. You have to minimize the impact on muscles. It’s hard to learn how to run like an ultra marathoner. It takes time. And it’s best taught on the trails. Trails will force the required gait. Whereas the roads do not. It’s also hard to run slow on the roads. There are too many distractions. Good music on your iPod, people passing you, you name it. Exercising for eight, ten, even thirty hours straight is all about conservation. In the case of your gait it’s about conserving muscles. Minimizing the impact and use called upon them with each stride. As a former coach for Team In Training and the Arthritis Foundation it was ingrained in our athletes to use walk breaks regularly. Perhaps one minute of walking for every ten of running. What it did was allow our athletes a greater chance to complete the marathon distance in a shorter period of training. Or where the long run base was on the lower end of what is ideal. It’s common in ultra marathons to see everyone taking walk breaks. But not on the flats. You run the flats. You run the downhill. You almost always power walk. Hunched over slightly, hands on the knees for force and march. Onward with a purpose. Not a leisurely walk. No you exert effort. But you do walk. This in itself takes time to learn. Most of us are not used to walk breaks. But we need to be. Maybe not every hill. Small risers, you can run, slowly. But longer, grinding hills, you should power walk. Sure you’ll lose some time but it will keep you below that pace threshold discussed above. You’ll be running on single track trail at times where the width is narrow. You’ll have roots and rocks to “deal” with. Hills are not the same, well groomed roads you train on. No they likely have big rocks strategically planted. Planted in such a way that you have to navigate each step carefully. Nothing beats up the ankles and feet like the trails. Everyone needs to experience hitting a rock or catching a root and the subsequent fall that appears imminent. Trying your best to remain standing while you tumble forwards. You need to learn that wet rocks are slippery. As is moss. When jumping over fallen trees, be wary of what is immediately on the other side. Rather than focusing on each step before you, trail running is like playing chess. You have to think through a few moves beyond the next. Where does the trail turn? Did you lose the trail? If so, you have to find it again. Running in the dark with a headlamp. Or shall I say walking. There’s a lot to learn. A lot of conditioning for the body that only a trail can truly offer. The same conditioning your body will need during your race. Most important, you need to have fun. You simply spend too much time training to not enjoy it. You also need to find balance. Between work, family, friends and life in general. Training for an ultra cannot become a chore. If it does, then you likely need to either scale back your training time or consider a different race. At a point in time where you have more flexibility in your life to train. 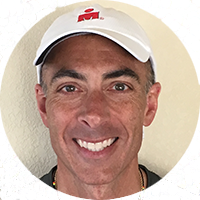 We also did an Interview With Mike Sohaskey, Co-Founder of RaceRaves on how to find balance training for an ultra amid family, life, work and more when training for an Ultra. To learn about training for an ultra marathon, please read How To Train For An Ultra Marathon, Best Training Advice For A New Ultra Marathoner and 5 Ways To Prepare For Your First Ultra Marathon.